These are 1965-67 Ford Fairlane hubcaps. 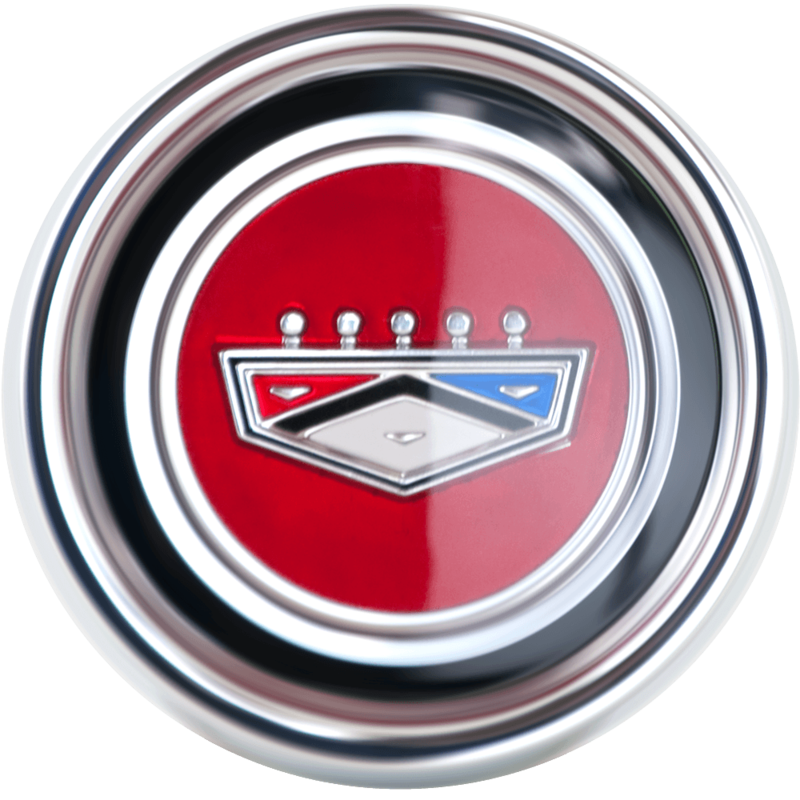 These authentic Fairlane hubcaps feature a classic Ford Motor Company Crest from the mid-sixties. 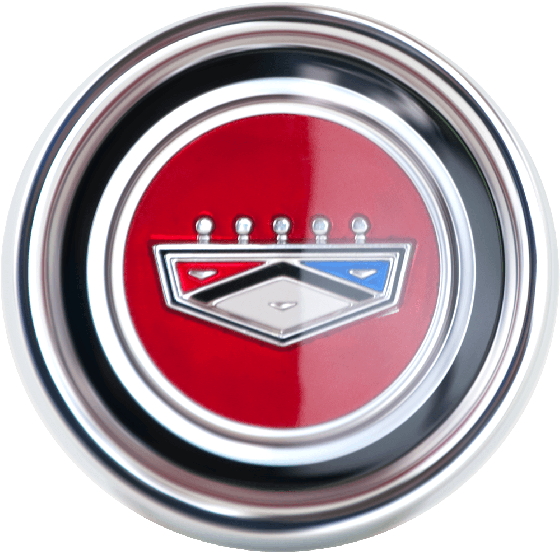 This 1965-67 Ford Fairlane center cap is also correct for some Falcon models. Please check your actual wheels required cap fitment size. can the fairlane center cap be used on the cougar or mustang styled steel wheel? Bill, Yes, the Fairlane cap may also be used with either wheel. The '65-'67 Ford Styled Wheels this cap fits features a 1.75" center bore.